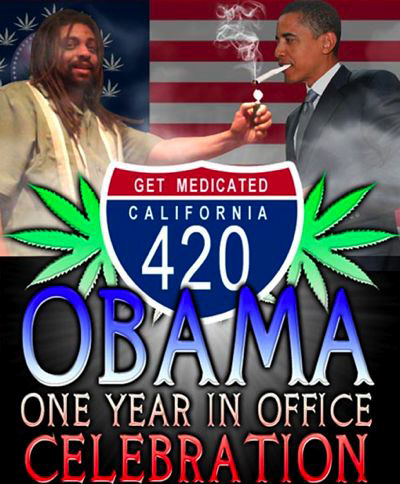 Medical Marijuana: President Obama Must Lead or Get Out of the Way!! Progressives are disappointed with a number of the policies and practices of the Obama administration. However, I and many others are most concerned about the fact that President Obama is backing off his earlier promises to end the unfair, wasteful, and ineffective war against medical marijuana patients. Given our severe budget crisis it is unethical and unwise to keep wasting scarce federal, state and local resources waging war against American citizens. 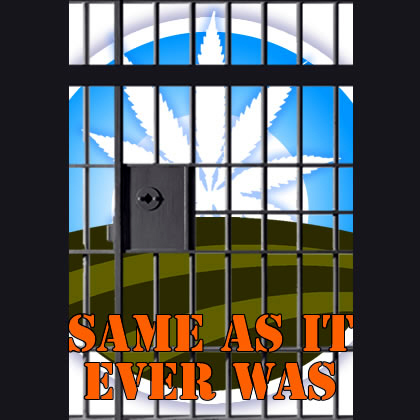 We already imprison more of our own people than any other country – with the vast majority being non-violent “drug offenders.” Opinion polls show that most Americans oppose the war on medical marijuana. 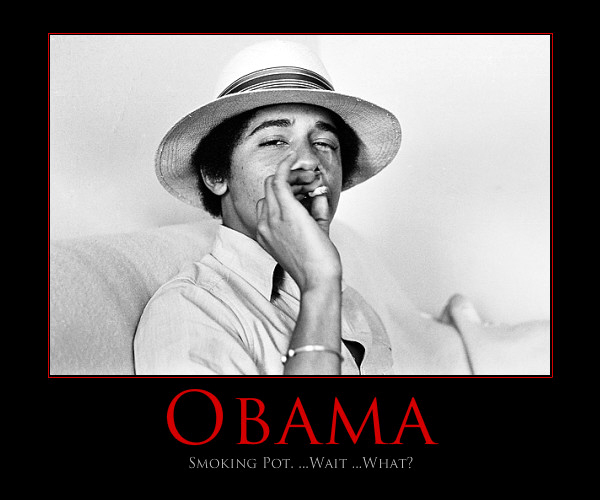 President Obama has just called upon the political establishment in Arab countries to “Lead or get out of the way.” He needs to take his own advice with regards to Medical Marijuana which is legal in a growing number of states (at least until his administration got in the way!!) In this article I have collected the latest news about the growing protest against the Obama administration’s medical marijuana policies and practices. President Obama needs to recognize that this is a large and popular social movement that includes all demographic groups. Medical marijuana advocates and activists have spent over three decades to make the progress we have so far in a third of our states. As a true progressive and community organizer, Barack Obama needs to either get in step with our movement – or get out of the way. In fact, true conservatives and libertarians (like Ron Paul) have opposed the drug war for decades. 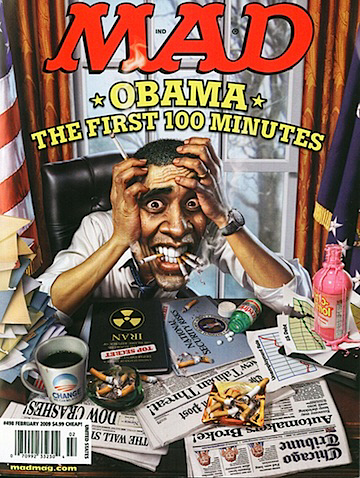 Click Below for more about the Obama administration’s failures, fumbles, and fallacies in the losing war on weed!! Keep reading to learn the distressing and disappointing news that President Obama has escalated the war against cannabis patients in California and other states where the medicine is legal. Instead of backing off the war or medical marijuana as Attorney General Holder promised in October 2009, there are now more raids on state-licensed facilities than during the Bush administration. Clearly we must hold the administration to their word. This is an important issue of civil rights and justice for the press to cover – particularly Rolling Stone and MSNBC. Thanks for getting in touch about the Senator’s position on allowing severely ill patients to use marijuana for medical purposes. Many states have laws that condone medical marijuana, but the Bush Administration is using federal drug enforcement agents to raid these facilities and arrest seriously ill people. Focusing scarce law enforcement resources on these patients who pose no threat while many violent and highly dangerous drug traffickers are at large makes no sense. 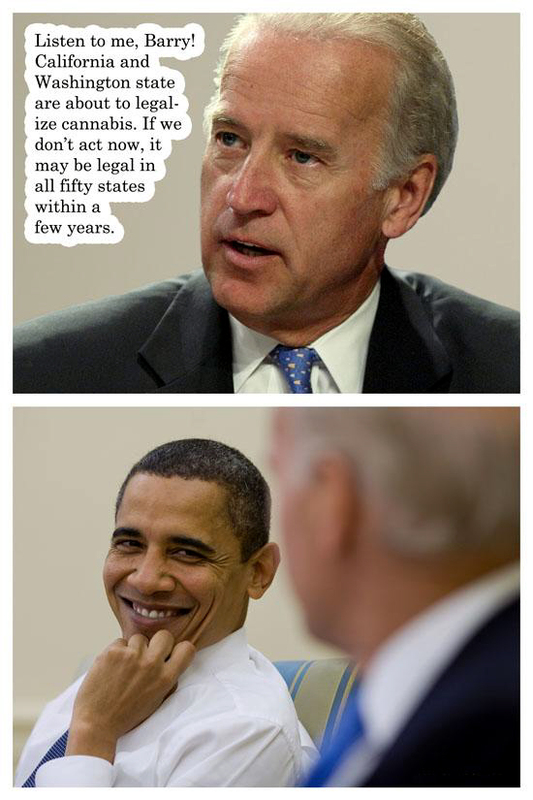 Senator Obama will not continue the Bush policy when he is president. I am not going to write in support of, nor work for the president’s re-election this time around. I urge other supporters of medical marijuana to withhold your contributions of time and money to his hypocritical campaign. After all he still smokes tobacco cigarettes (which he should keep right on doing if he wants to!!) So clearly the president has flip-flopped big-time on this important economical and ethical issue. It is likely that the big pharmaceutical and alcohol lobbies have bribed him to defend their markets and political turf. As a father of two young girls he is also worried that he may set a bad example by appearing soft on drugs. 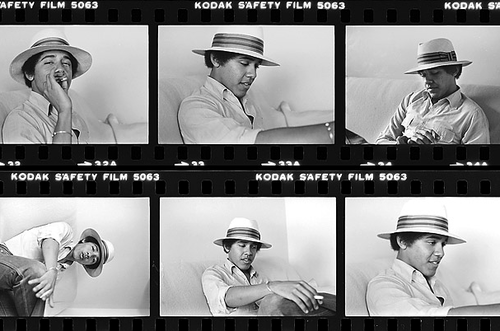 According to his own writing and people who knew them, “Barry” Obama used to smoke marijuana quite a bit and should not deny the rest of us that basic right. We need to put some pressure on him to get with the program NOW. 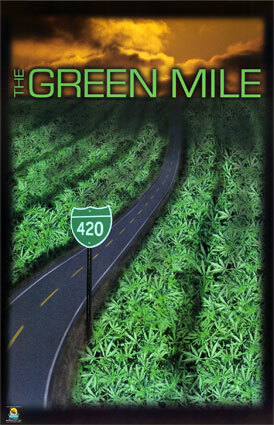 Keep reading to learn why and how we can finally end this 75 year prohibition of marijuana!! 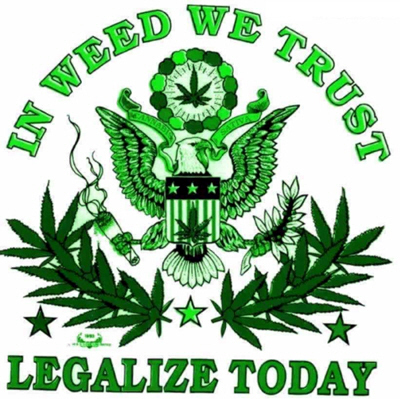 The American Civil Liberties Union on May 10, 2011 called on U.S. Attorney General Eric Holder to make clear that the Department of Justice (DOJ) will not prioritize prosecution of people who comply with state medical marijuana laws, in keeping with previously stated DOJ policy. In a Letter sent late Monday, the ACLU expressed deep concern about recent letters from several U.S. Attorneys across the country, threatening federal prosecution of people who comply with state medical marijuana laws, even including state employees and state licensed providers of medical marijuana. U.S. Attorneys in Washington, Montana, Colorado, Arizona, Rhode Island and Vermont have in recent weeks issued letters that diverge widely from what was previously understood as DOJ policy to not use federal resources to prosecute those who are clearly complying with state medical marijuana laws. According to the ACLU’s letter, the recent efforts by U.S. attorneys to dissuade states from enacting and implementing medical marijuana laws through threats of prosecution is an abuse of their role as impartial prosecutors and creates the appearance that the DOJ is attempting to undermine the outcome of lengthy and public legislative processes by sovereign states. The ACLU also says in its letter that the recent U.S. Attorneys’ letters conflict with a DOJ representation to a federal court that the Ogden memo represented a significant policy shift, under which those individuals and entities that use or distribute medical marijuana in full compliance with state medical marijuana laws would no longer be targeted by federal law enforcement. Based on that representation, the ACLU in 2009 voluntarily dismissed a lawsuit against the federal government arising from a 2002 DEA raid of a California medical marijuana garden, in which the ACLU represented a group of plaintiffs including Santa Cruz, California city and county officials, which sanctioned the garden. The federal court had previously upheld the ACLU’s 10th Amendment claim alleging the federal government had selectively enforced federal medical marijuana laws in an improper federal attempt to undermine and disable the functioning of state medical marijuana laws. “If, contrary to the assurances its attorneys provided the court in the Santa Cruz case, the federal government’s enforcement policies now include ‘vigorously enforcing’ federal drug laws against individuals and entities who manufacture and distribute marijuana on a completely non-profit basis and in full compliance with state medical marijuana laws, it marks a significant departure from the federal government’s position in the Santa Cruz litigation and could lead to that case being reinstated in its October 2009 posture with discovery proceeding as originally planned,” the ACLU’s letter reads. When Attorney General Eric Holder announced in October 2009 that the Dept. of Justice would respect state medical marijuana laws, the nation breathed a collective sigh of relief. By that time, any lingering support for aggressive federal raids on medical marijuana providers had dwindled into invisibility. The American people wanted to see patients protected, and Obama’s pledge to do so earned him nothing but praise from both the press and the public. The federal agenda is obviously to avoid allowing state regulation to further legitimize the industry, and they’re willing to keep things messier than necessary just so they can continue citing that messiness as evidence that this can’t work. They’re protecting the argument that medical marijuana is out of control by interfering with efforts to control it. It’s a slippery and typical drug war propaganda tactic that, once understood and exposed, should begin to lose its potency. For 15 years now, opponents of medical marijuana have been saying this can’t be done because it’s illegal under federal law. Yet today, medical marijuana is a $1.7 billion industry that is helping sick people, creating jobs, generating substantial tax revenue, and even taking money away from murderous cartels in Mexico. There is no reason, old or new, legal or practical, that this important progress can’t continue. The forward momentum of the marijuana reform movement now depends on the willingness of state officials to take a stand against federal interference and reveal these empty threats for what they are. But beyond that, the time has come for the American public to send a message to the President who promised more compassionate policies than his predecessor. If Obama hasn’t yet figured out how the American public feels about the war on medical marijuana, then let us each take a moment to politely remind him. 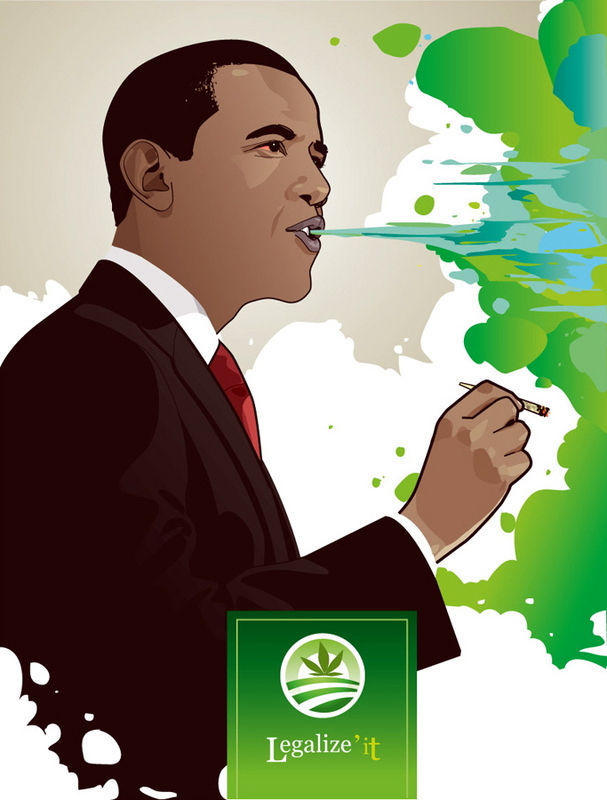 The patient advocacy group Americans for Safe Access (ASA) issued a report card in April 2011 giving President Obama a failing grade for his record on medical marijuana. The report card highlights broken promises, half-measures, and a general failure by the Obama Administration to address medical marijuana as a national public health issue. Citing ongoing federal raids, the report card accused the government of undermining local and state medical marijuana laws, and urged the Obama administration to develop a comprehensive federal policy that truly curbs enforcement. The report card also calls for expanded research and the reclassification marijuana from its status as a dangerous drug with no medical value. Despite an October 2009 Justice Department memorandum aimed at de-emphasizing federal enforcement in medical marijuana states, the Obama administration has since conducted nearly 100 aggressive, SWAT-style raids on patients, growers, dispensaries and laboratories in California, Colorado, Michigan, Montana and Nevada. These raids have so far resulted in nearly 30 new federal prosecutions. President Obama has also continued to vigorously prosecute his predecessor’s federal cases, rather than turning them over to be adjudicated in state courts. 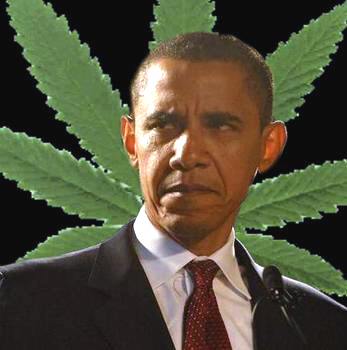 Most recently, Obama’s Justice Department threatened public officials from Washington State with criminal prosecution if they implement a medical marijuana distribution system designed and approved by the legislature. The report card also points out federal half-measures related to public housing, veterans affairs, banking and the Internal Revenue Service. A reluctance by the federal government to adequately address the issue of medical marijuana has instead created a patchwork of confusing and often contradictory policies. Vast discretionary powers are given to landlords in deciding whether to evict patients from public housing, just as discretion is given to veterans’ physicians in deciding whether to deny pharmaceutical medication to qualified patients. In the financial world, the government is instructing large banks like CitiCorp, Wells Fargo and Bank of America to purge even state-compliant medical marijuana businesses, and the Internal Revenue Service is conducting dozens of audits in an effort to shut down licensed dispensaries. In addition to calling for the reclassification of medical marijuana from its current status as a Schedule I substance, and an end to federal raids, the comprehensive policy being sought by advocates also includes greater safeguards for patients against housing and employment discrimination. With the aim of repairing an onerous research approval process and shifting focus from studies on marijuana’s abuse potential to its therapeutic benefits, advocates are calling for expanded investment into research. President Obama, We are Sick and Tired, but Doing Our Part! ASA National is launching the “Sick and Tired” Campaign. Your participation in this campaign will send a clear message to President Obama from the medical cannabis community: We are sick and tired. We are suffering from chronic or debilitating conditions, and we are weary of false promises that do nothing to protect our rights as patients. After giving the medical cannabis community a false sense of security, Obama’s administration has taken its gloves off with its approach to the medical cannabis community. The Obama administration continues to ignore state laws and raid medical cannabis patients and facilities, while creating new ways to marginalize our community. 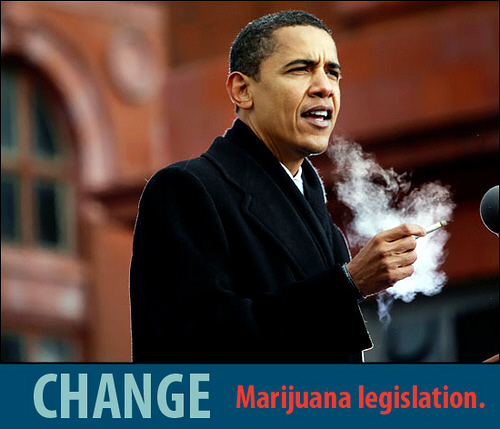 To take action now, click here to sign our electronic petition urging Obama to end federal interference in existing medical cannabis programs, and legitimize medical cannabis for the sick and dying across the country. You can find a .pdf version of our petition by clicking here, please print it out and circulate it among your community. Send the signed petition back to ASA’s Washington, DC Office. 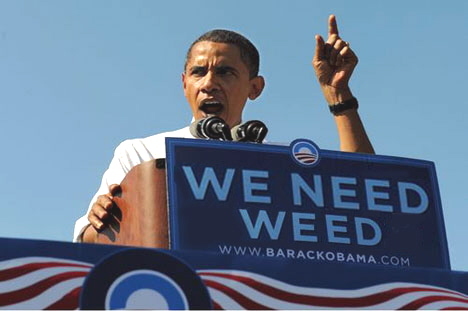 Also, take time to contact President Obama’s re-election campaign staff by clicking here, to email Obama’s re-election campaign, or call 312-698-3670 to ask how can he expect re-election support from the medical cannabis community when he has not yet lived up to one promise he has made. 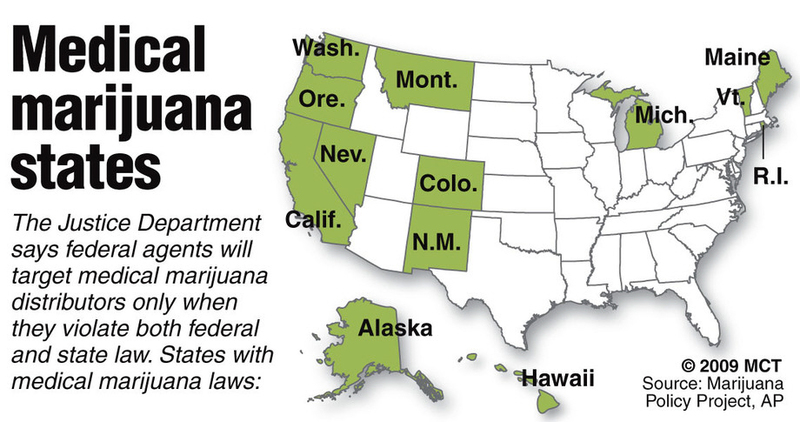 Any use of marijuana is prohibited under federal law. 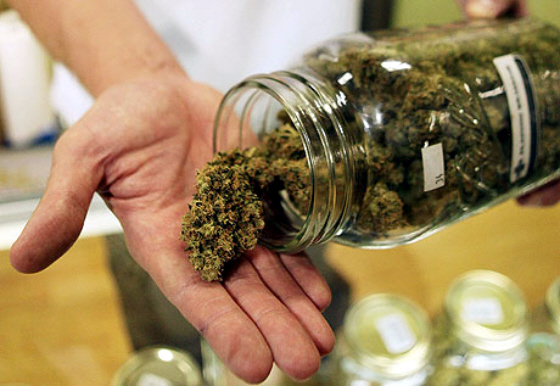 In 2008, Michigan voted to legalize medical marijuana, joining more than a dozen other states. In 2009, the Obama administration said it would not seek to arrest and prosecute users and suppliers who were operating within state law. We maintain the authority to enforce (federal law) vigorously against individuals and organizations that participate in unlawful manufacturing and distribution activity involving marijuana, even if such activities are permitted under state law. As a result of the federal about-face, medical-marijuana legislation died in the state of Washington. There, Gov. Christine Gregoire vetoed a bill that would allow medical marijuana dispensaries out of fear state workers would be federally prosecuted. Legislation also appears doomed in Montana, Colorado and New Jersey and has become more complicated in Vermont, Rhode Island and Arizona. Implementation hasn’t been a smooth process in Michigan, either, and the situation here likewise has been further complicated by the federal ambiguity — in April, federal drug agents conducted a series of raids on medical-marijuana facilities and other establishments in the Detroit area, the reasons for which remain unclear. In October 2009, the Justice Department declared that prosecuting medical-marijuana users and caregivers who clearly comply with state laws was not a wise use of its resources. That declaration has dominated public perception of President Barack Obama’s policy on the issue-minimal progress, but is a welcome improvement on his predecessors. Meanwhile, federal raids on dispensaries continue. On March 14, on the eve of the Montana Senate’s vote to repeal the state’s medical-marijuana law, federal agencies raided 26 growers and dispensaries there. Hermes calls that “intimidation, with specific intent to undermine a state law.” On April 28, DEA agents raided more than five dispensaries in Spokane, Washington. The Spokane raids came three weeks after Michael C. Ormsby, federal prosecutor for eastern Washington, had sent letters to the landlords of more than 40 dispensaries in the area, warning them that their property could be forfeited if they continued to rent to drug traffickers. “Nearly half have reported that they have evicted their tenants to comply with federal law,” says Ormsby spokesperson Tom Rice. The Obama administration has also continued Bush-era prosecutions of medical-marijuana providers. On May 2, Californians Dr. Mollie Fry and Dale Schafer turned themselves in to begin serving five-year federal mandatory-minimum sentences. Fry, a breast-cancer survivor, and Schafer, a hemophiliac, were raided in 2001. 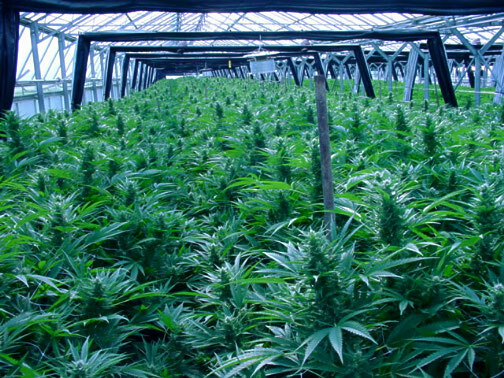 In 2007, they were convicted of manufacturing and conspiracy charges for growing more than 100 plants over several years. “The Obama administration vigorously fought an appeal of their sentence,” says ASA. In any case, the federal Controlled Substances Act maintains that marijuana has no valid medical use, and thus any distribution of it in the guise of “medicine” constitutes criminal sale of a controlled substance. In the last few months, federal prosecutors have sent letters reiterating that to governors and other officials in several states, including California, Colorado, Hawaii, Montana, Rhode Island, and Washington. The letters threatened that any official involvement in licensing or regulating medical marijuana would expose state employees to prosecution. On April 14, the two federal prosecutors in Washington state warned Gov. Christine Gregoire that if the state licensed medical-marijuana cultivation and distribution, government employees who worked with such a system could be prosecuted, and state property forfeited. On April 29, Gregoire vetoed most of a bill to regulate medical-cannabis sales and production. The provisions she rejected included state licensing of dispensaries and a state register of patients. She said she feared state workers would be subject to arrest, and she urged the federal government to move marijuana to Schedule II under the Controlled Substances Act. It would be self-incriminatory for a taxpayer to report their occupation as “marijuana grower,” Wykowski adds. Disallowing the cost-of-goods deduction “would have made it impossible for any dispensary to remain in business.” Still, with the IRS continuing to audit dispensaries under Section 280E, that makes lawyers in the field fear a bad precedent. Other dispensaries may not have as strong a case, keep good records, or have the financial and legal resources to defend themselves. “We are concerned that someone who doesn’t know what they’re doing will take a bad case to court and lose, and jeopardize everyone else in the industry,” Wykowski says.” The conflicts between federal and state law and between tax and criminal law also create a massive record-keeping dilemma for dispensaries. If they keep accurate and complete records, they can prove that they’re acting like a legitimate business, a legitimate medical-services provider-but they’re potentially handing the federal government a cut-and-paste indictment. “The same records that can help you in state court can screw you over in federal court,” says Panzer. If the amount of cannabis a dispensary grows, buys, or distributes is tallied cumulatively over several years, it can be large enough to trigger a five- or ten-year mandatory-minimum sentence. 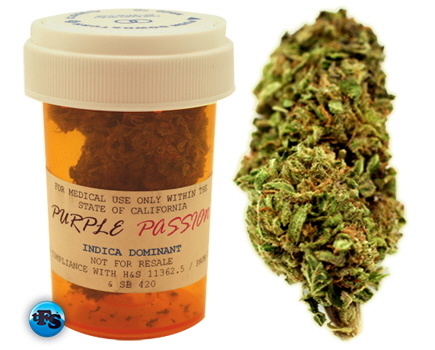 The overriding fact is that the Controlled Substances Act, enacted in 1970, puts marijuana in Schedule I, saying it has “a high potential for abuse, has no currently accepted medical use in treatment in the United States, and has a lack of accepted safety for use under medical supervision.” Thus, the law does not recognize “medical use” as a valid defense to charges of possession, sale, or cultivation. As far as federal law is concerned, medical-marijuana users are the equivalent of junkies, no matter how sick they are, and the dispensaries and growers that supply them are little different from crack dealers and meth-lab operators. This rule is tied into a host of other laws intended to prohibit money-laundering and the like. Medical-marijuana users in public housing and landlords who rent to dispensaries run afoul of laws intended to close crackhouses. 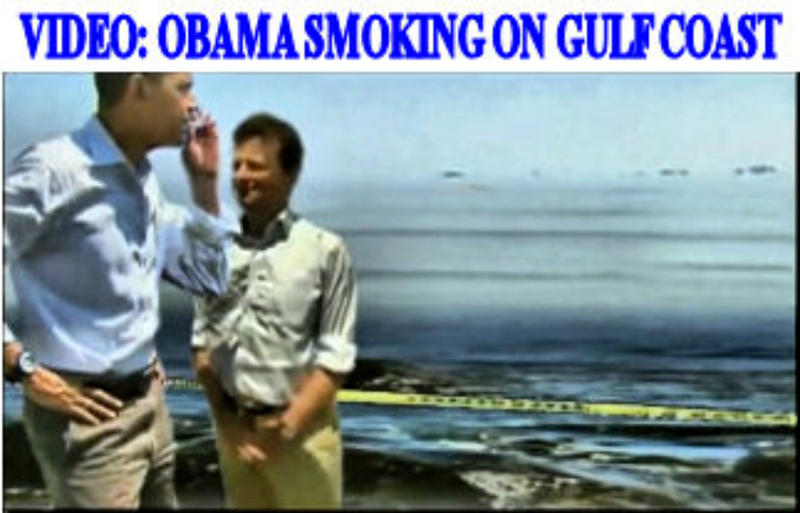 President Obama on the Gulf smoking Cigarette - should have been a JOINT!! This is appalling: Recent months have brought about what can only be described as the rapid collapse of the Obama Administration’s support for medical marijuana. Following dozens of aggressive DEA raids, along with some unusual IRS audits, the Dept. 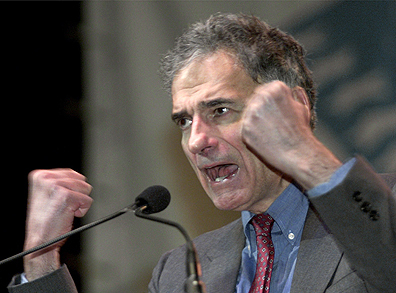 of Justice has now begun openly endeavoring to destroy carefully regulated state programs before they get off the ground. It’s a sweeping intervention that instantly divorces the Obama Administration from its stated policy of not focusing resources on individuals who are clearly compliant with state law. Unlike the numerous recent dispensary raids, which could theoretically result from competing interpretations of state law, this new incursion constitutes a direct threat of arrest against state employees acting in good faith to administer perfectly lawful state programs. 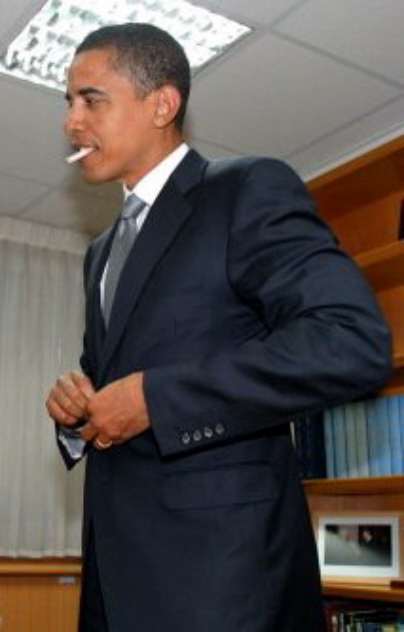 In 2008, presidential candidate Barack Obama offered a bolder and less uptight pose when he candidly admitted to “inhaling” Cannabis. No doubt he was alluding to another presidential candidate, Bill Clinton, who claimed in 1992 to have only drawn Marijuana smoke into his mouth but did not inhale. And, of course after that came the famous and memorable Obama line, which every human being who knew Weed was good greeted with great joy. Feigning enlightenment, the charming candidate demurred about inhaling: “That WAS the point.” Inhaling was the point, said Barack Obama. But as we know when it comes to double standards: That was then and this is now. 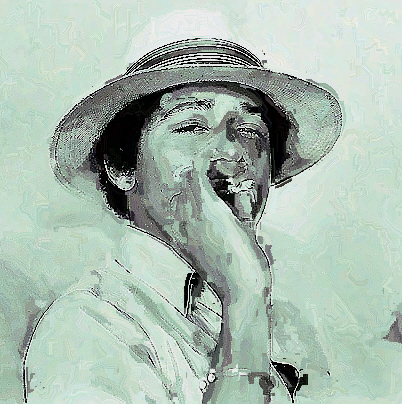 That cheeky provocation no doubt earned Obama a few million voters, all ecstatic that now; a second US president admitted a ‘close’ association with Cannabis. The first was of course was George Washington. Obama could NOT have grown-up in Makiki, go to Punahou or body surf at my favorite spot, Sandy Beach, without having loved Pakaloha. It’d be impossible for him as a young fellow to step out of the water after sliding through the shimmering tubes of the shorebreak- without noticing all his surfing Ohana imbibing what Hawaii does best. 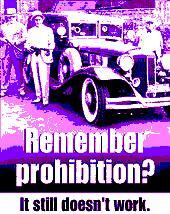 In those days, you’d have to be cop to NOT have noticed all of us smoking Da Kine. To deny smoking Pakaloha after a ripping session at Sandy’s would be like saying you weren’t born and raised in Hawai’i. But I digress because now, the one-time Pot smoker is the most powerful and most deadly man on Planet Hurt. 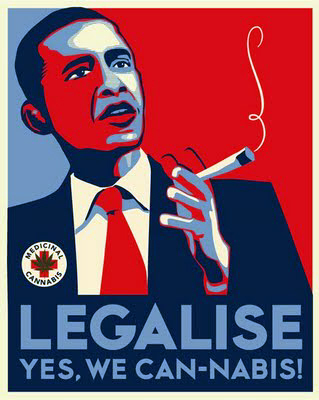 I can only conclude that there is some irreconcilable polarity between good Cannabis and great Power. Politicians seeking more power need to deny Cannabis no matter what they said or DID themselves. Still the people know that Cannabis is a helpful and benign plant and such being the case, we can easily see politicians, bureaucrats, hacks and officials practice a convoluted logic denying it. 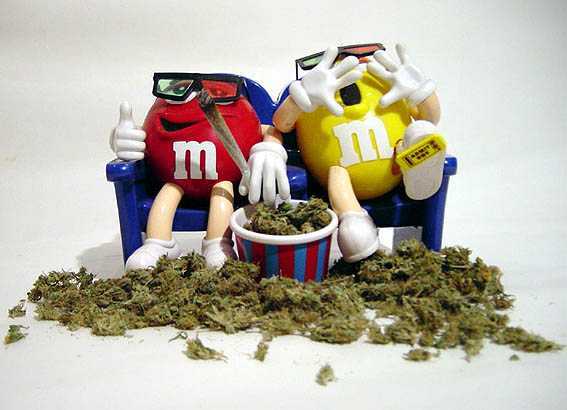 And, we know that in this one instance with Marijuana, despite all the polemics and conspiracy theories we harbor. 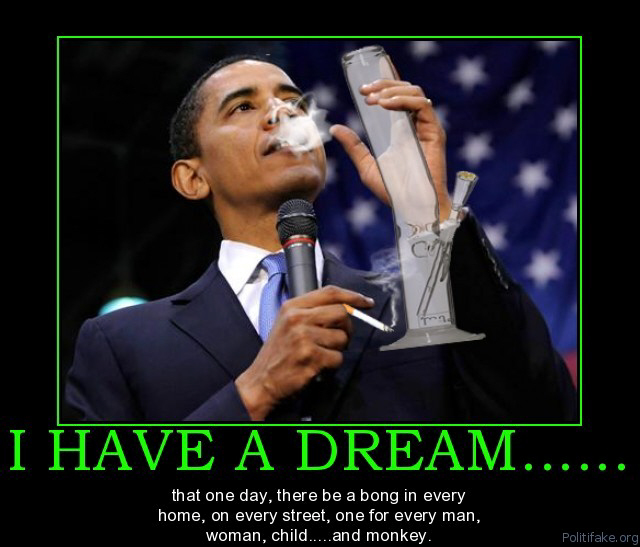 “Marijuana is the drug that should most clearly be brought into a system of regulation and taxation. It is less dangerous than drugs like alcohol and tobacco as far as addiction and death. Speaking of brainwashing, Gil Kerlikowske, my successor as police chief in Seattle, now the nation’s Drug Czar, called me to task in a recent Seattle visit for my suggestion that the Office of National Drug Control Policy is as zealously committed to prosecuting the War on Drugs as the Bush administration was. Kerlikowske took pains to remind me that he ended the drug war two years ago. Say what? Since Kerlikowske “ended” the drug war, law enforcement agencies continue to pile up record or near-record numbers of marijuana arrests. As we, the people, make increasingly clear our intention to see marijuana legalized and regulated along the lines of alcohol, law enforcement comes down harder and harder on nonviolent, low-level offenders. The YouTube generation is speaking, and many of them want to legalize marijuana. Changing the nation’s drug laws is dominating the questions submitted by YouTube users in advance of President Obama’s 2:30 p.m. question-and-answer on the video website. There were similar results in both 2009 and 2010 when people asked Obama about ending prohibition and using science instead of politics to guide our drug policies. 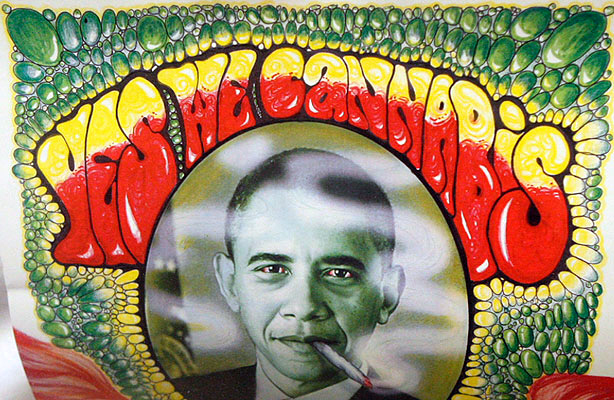 In 2009, Obama’s response was to laugh off the question about taxing and controlling marijuana. 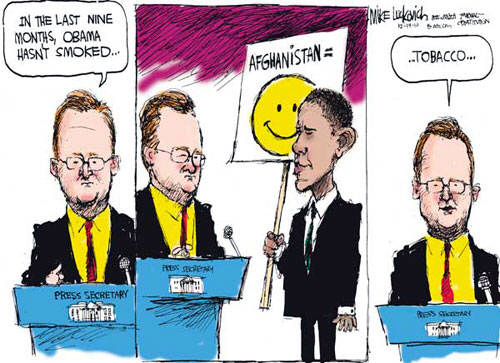 In 2010, Obama ignored the questions, despite the questions dominating in quantity and quality. We are encouraged by the grassroots response bubbling up around this issue and urge President Obama to address this issue seriously and thoroughly. The biggest impediment to implementation of state medical cannabis laws, as well as to states passing new laws, is the failure of the federal government to adopt a comprehensive medical cannabis policy. Such a policy would include the reclassification of cannabis — a demand made by advocates, scientists and medical experts alike. A comprehensive policy would also discontinue federal raids and prosecutions, leaving states to enforce their own medical cannabis laws. A proactive approach is needed to protect patients’ civil rights, such as establishing the safeguards against housing and employment discrimination other members of society enjoy. Finally, although the medical efficacy of cannabis is well established for a number of health conditions, there remains much to learn about this extraordinarily promising therapeutic substance. The federal government must end its stranglehold on research by streamlining the research approval process and expanding the availability of research-grade cannabis. In 2002, the Coalition for Rescheduling Cannabis filed a petition with the Drug Enforcement Administration, demanding that the DEA place cannabis in a less restrictive classification, as cannabis has demonstrated considerable medical value and few physical risks. The coalition of patients and patient advocates has been waiting nearly a decade for a decision. The federal strategy of delay has so far prevented the coalition from legally challenging the government’s official position that cannabis is a highly dangerous drug with no medical value. Not only has the coalition received no response, but the DEA has refused to respond to Congressional, administrative and other formal requests for information on the petition’s status. Rescheduling medical cannabis is the first step in developing a comprehensive federal policy. The Obama Administration has made many public promises to scale back enforcement against medical cannabis patients and providers, and yet the raids and prosecutions continue. Even if the Administration carved out an exception for medical cannabis states, that would be an inadequate and shortsighted solution. The only way to ensure proper protection for patients and their providers is by developing a comprehensive federal policy. De-emphasizing federal enforcement as part of a comprehensive federal policy would allow millions of sick and dying patients across this country safe access to the medicine their doctors recommend. Free from fear of arrest and prosecution, medical cannabis providers could better focus on providing patients with the medicine they need, while operating in compliance with local or state laws. In addition, a comprehensive federal policy would support civil enforcement by local and state officials rather than the aggressive and harmful federal tactics currently utilized. Under a comprehensive federal policy, any pending federal cases would be discharged to state courts for adjudication of any local or state law violations. A robust federal research program would provide the mechanisms necessary to allow for multidisciplinary research focusing on the medical benefits of cannabis. This type of federal research program, as part of a comprehensive federal policy, would cut through the red tape that currently exists during the planning stages of cannabis research by removing the onerous review system that currently obstructs most research in the United States. It would also end a decades-long monopoly on research grade cannabis by granting additional licenses to provide alternate sources of supply for FDA-approved clinical trials. Finally, an ideal research program would provide competitive federal grants, encouraging researchers to enter the field and become experts in cannabinoid science. A research program is imperative to fully unlock the extraordinary promise of cannabis and cannabinoid therapeutics, including new, more effective treatments for some of the most devastating conditions. Patients suffering from cancer, multiple sclerosis, Alzheimer’s, diabetes, Huntington’s, and a host of other fatal or debilitating diseases deserve access to any medication that may help them live longer, more comfortable lives. 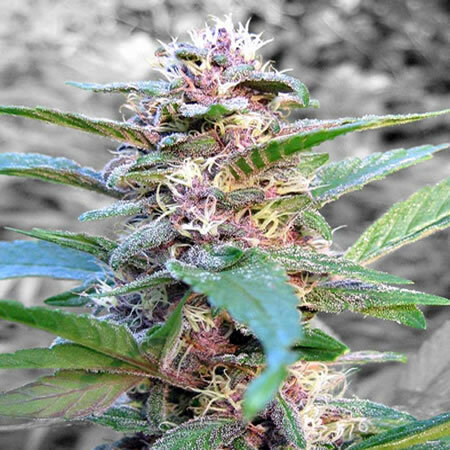 Hundreds of peer-reviewed scientific studies indicate cannabis has that potential. We need to know more. Please check out my other BLOG articles on this subject. Tell your friends! !